Here at Cliff Kapson Consulting, Ltd., we have over 20 years of experience providing consultations and inspections for commercial and residential properties. Our inspections range from private residential homes to commercial properties. We conduct inspections anywhere in the United States and will respond to a phone call or email within 24 hours, because we understand that the need for a thorough inspection can arise at any time, especially for a job relocation. No matter what time of the year it is, you can schedule an inspection when you are relocating because a move can happen at any time. 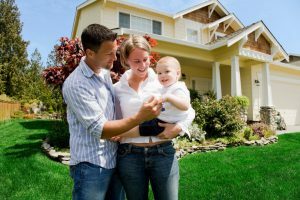 To learn more about our home inspection services or if you have any questions regarding a specific home or commercial inspection type, call us today at 888-304-3437. You can also get in touch with us by filling out the contact form located on this page and we will get back to you as soon as possible. At Cliff Kapson Consulting, we take pride in providing the most thorough inspections and comprehensive reports available in the United States. We provide our clients with the abundance of data they need to make an informed decision about the next steps regarding their new home. Also included in the reports are support suggestions if needed to help them pursue any and all options necessary including corrections of application defects, recommendations for structural repairs, maintenance guidelines, and the pursuit of legal action if it is necessary. Our relocation inspectors are always staying sharp by receiving in-depth training and they continue to strengthen their inspection and consulting skills with continuing education for home inspectors through a variety of trade groups. For more information on our home consulting and inspection services or if you have any questions about our inspection process, give us a call today at 888-304-3437. Or simply fill out the contact form on this page and we will respond shortly.